When will robots finally take farmers' jobs? When will robots finally take farmers’ jobs? 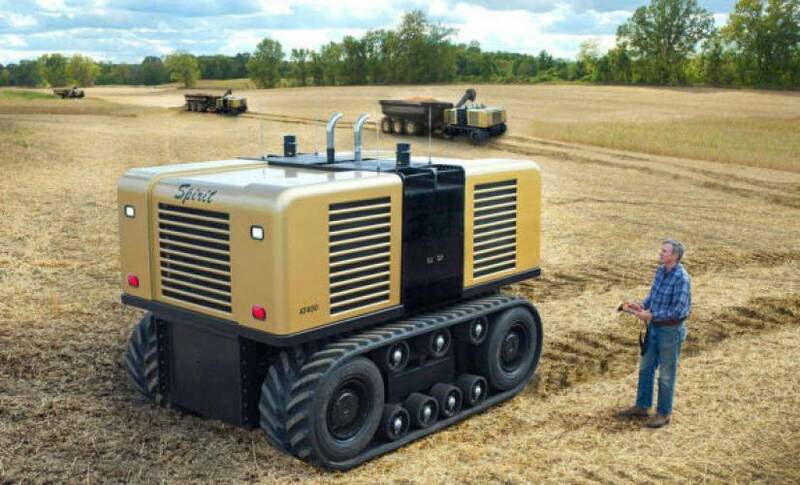 That’s according to a new report by Lux Research that reveals how robots and autonomous systems could take over and change the agriculture industry. 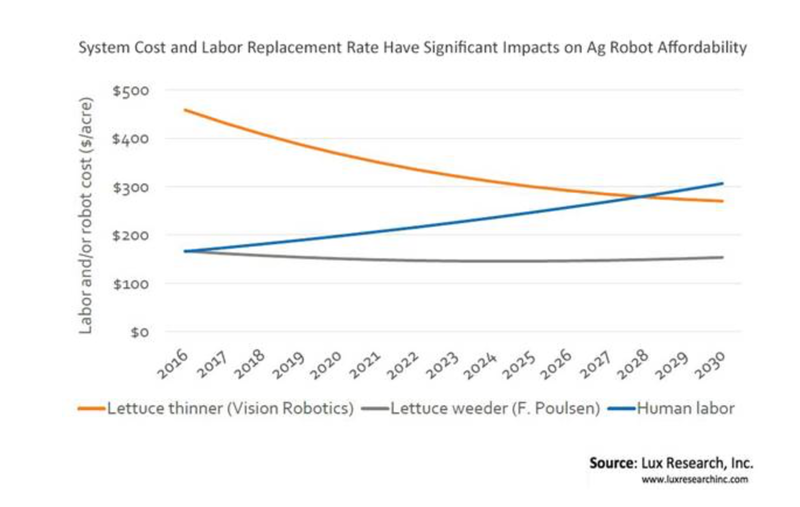 Lux argues that in the near future, we are going to see farming robots that are not only much cheaper than human labor, but capable of executing tasks with much more efficiency and accuracy. That could lead to higher crop yields for farmers and a workforce that doesn’t need to rest every few hours. What the report doesn’t suggest is that all human labor will be removed from agriculture. Instead, Lux suggests that humans will be used for other tasks, like maintenance and sorting, tasks that are not fit for robots currently. The invasion of robots in the agriculture market may force countries in Africa to quickly urbanize, similar to China’s urbanization period in the 1980s. While some may respond well to this, others countries may struggle to find new jobs for the millions entering the workforce due to a lack of rural employment.